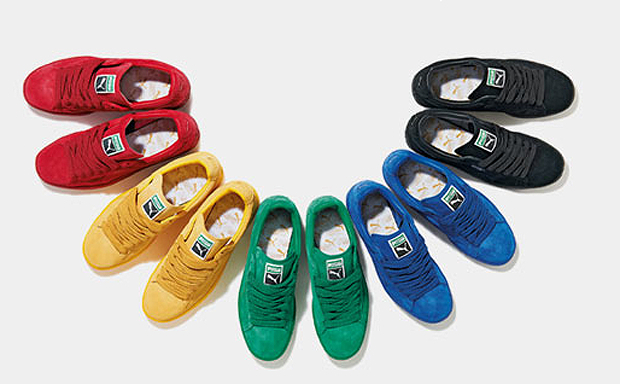 Released back in 1968, this shoe is the stuff of legends and one of the most iconic sneakers in footwear history to this day. 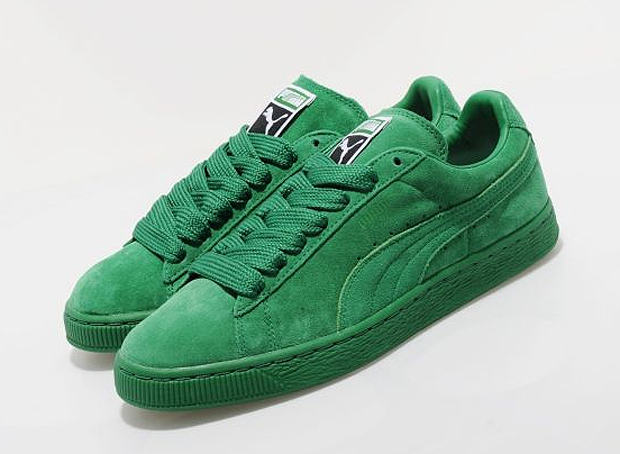 This release concentrates on the future with Puma going green on us with this ‘Eco’ pack, which sees the Suede get an eco-friendly makeover. Featuring an Eco OrthoLite liner, which is produced by using bio-oil rather than the petroleum products normally found in footwear foam production, recycled laces and Puma’s reusable Clever Little Bag, which uses 65% less paper than your average shoe box, this release seems to be a nod towards an environmentally friendly conscious future in the footwear industry. 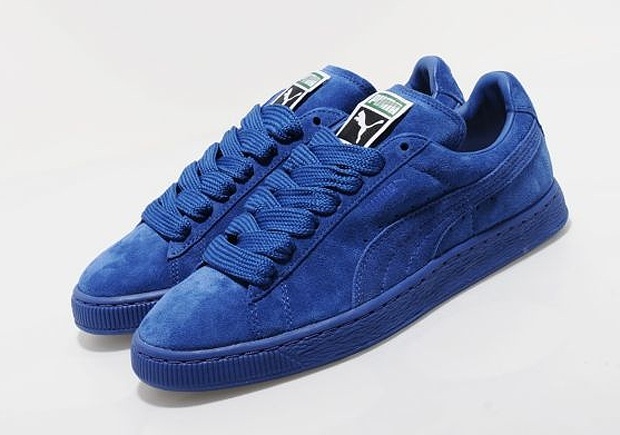 The colour range is pretty striking here and the application is also bold, with the uppers fully blocked out with no additional contrasting accents, which are normally found on the Suede. 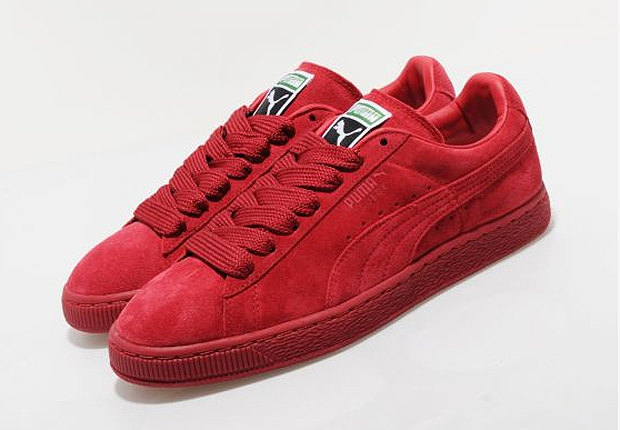 As always, the finest suede has been used to construct the upper and that classic shape is in full effect.